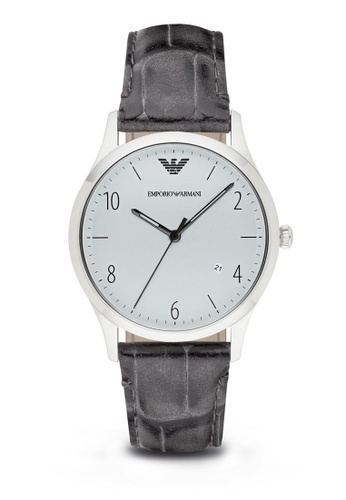 Featuring a grey embossed leather strap and a sleek silver dial, this watch by Emporio Armani conveys minimal style with contemporary edge. The perfect wrist accessory for a modern and dapper look. Can't find Emporio Armani Gray Leather Watch AR1880 in your size?